“Located in the most sophisticated city in the Pacific Northwest, the hotel is a tranquil haven that rests on the edge of nature,” explained Mr. Kari Koskela, General Manager of the Shangri-La Hotel, Vancouver. In an interview, we discussed the history of the hotel, luxurious details and furnishings in the Orchid Suite, the on-site restaurant by three-star Michelin chef Jean-Georges Vongerichten and much more. Tell me a little bit about the history and location of the Shangri-La Hotel, Vancouver. Shangri-La Hotel, Vancouver has defined luxury hospitality in Vancouver through its commitment to the highest standards of hospitality. The hotel anchors the city’s luxury retail row, on Alberni Street, offering guests ultimate accessibility to luxury shopping, though-provoking art installations, and trendy restaurants and bars, just outside the hotel’s doorsteps. Shangri-La Hotel, Vancouver is the first hotel in North America for Shangri-La Hotels and Resorts, Asia Pacific’s leading luxury hotel group. 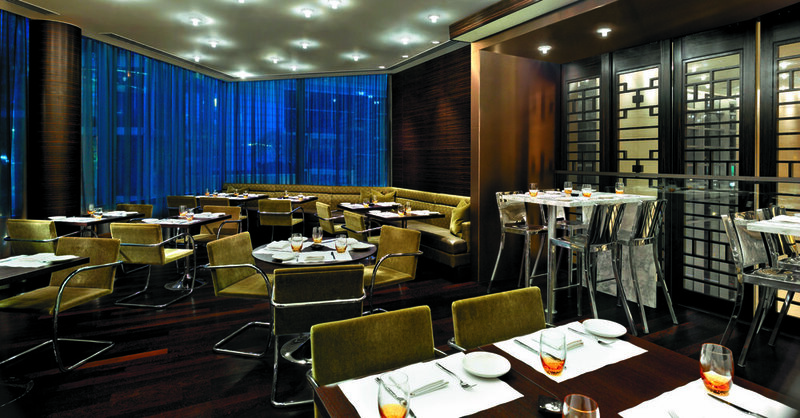 Since opening its doors in January 2009, the 119-room hotel, located in downtown Vancouver in the heart of the shopping and business districts, has been recognized for its facilities and service. Most recently, the hotel was included in the Condé Nast Traveler Gold List 2017, and remains the only hotel in the city with the prestigious AAA Five Diamond ranking, which it has earned consecutively since 2013. Hong Kong-based Shangri-La International Hotel Management Limited currently operates over 95 hotels in 22 countries and 73 destinations under the Shangri-La, Kerry, Hotel Jen and Traders brands. Prominently positioned in Asia, the group has established its brand hallmark of “hospitality from the heart” over four decades in Asia Pacific, the Middle East, Europe, North America and the Indian Ocean. The group has a substantial development pipeline with upcoming projects in mainland China, Cambodia, Hong Kong, Indonesia, Malaysia, Myanmar, Saudi Arabia and Sri Lanka. What makes the Orchid Suite so unique and luxurious not simply within the hotel itself, but across the top-tier category of suites in Vancouver? The Orchid Suite is the hotel’s premium suite. It is spacious yet intimate, with an option to expand into an adjoining guest room to create a two-bedroom suite. The Orchid Suite is 130 square metres (1,395 sq ft), and when expanded to two bedrooms becomes 180 square metres (1,938 sq ft) of living space. The Orchid offers a private residential-style setting, with a living room, dining area, and private balcony, guest bathroom, master bedroom with ensuite bathroom, including a large walk-in closet, deep-soaker infinity bathtub, and heated marble floors. One of the unique features of the Orchid Suite is the galley kitchen with separate butler’s entrance, allowing staff to operate unobtrusively while at tenting to bespoke culinary requirements. In terms of on-site dining, how would you describe both the atmosphere and cuisine at MARKET by Jean-Georges, and what are some of your favourite dishes? MARKET by Jean-Georges is the first restaurant in Canada for three-star Michelin chef Jean-Georges Vongerichten and the signature restaurant of Shangri-La Hotel, Vancouver. The restaurant is helmed by Executive Chef Ken Nakano, a home-grown talent who delights guests with sophisticated yet uncomplicated flavours. With a passion and dedication for authentic farm-to-table cuisine, Chef Nakano showcases the finest Canadian ingredients from coast to coast. Market is open seven days a week from breakfast through dinner, and is located on the hotel’s third floor, accessible through the hotel or directly off Alberni Street. Popular dishes include the Pacific Halibut with spinach, in a sweet garlic lemon broth, as well as the Soy-Glazed Short Ribs, with apple jalapeño puree and rosemary crumbs. What are some of the signature or speciality treatments you might recommend guests to experience? CHI, The Spa at Shangri-La draws inspiration from the origins of the Shangri-La legend, a place of personal peace, enchantment, and well-being. CHI, The Spa is your personal sanctuary where holistic treatments are based on time-honoured methods shared by many Asian cultures. Each treatment suite has its own fireplace, private infinity bath, steam shower, relaxation lounge, and changing and vanity area, to create a “spa within a spa” environment. 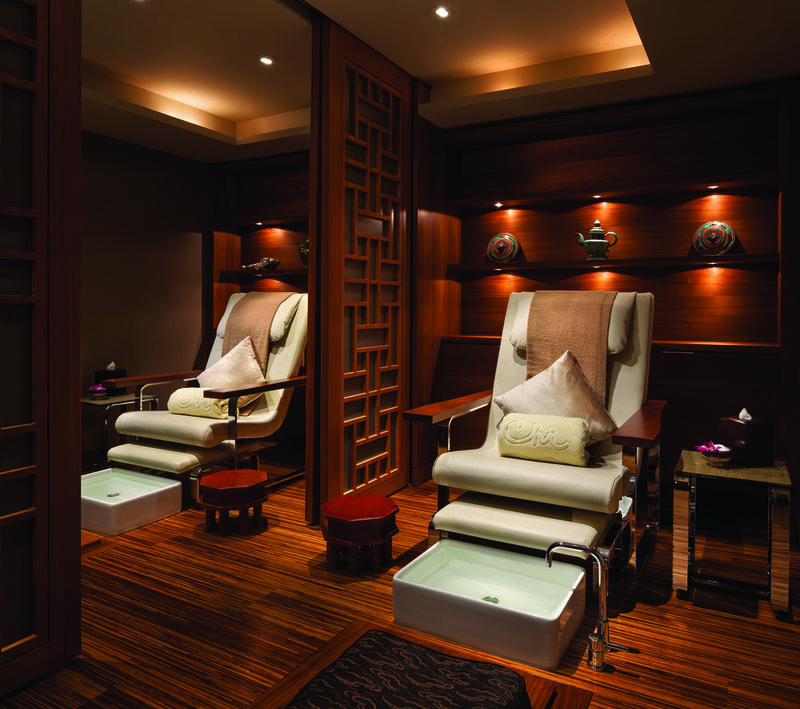 CHI signature treatments take full advantage of our all-inclusive treatment suites. Each treatment begins with a foot bath and tea service, followed by an aromatic steam and your choice of treatment. The Aroma Vitality Massage brings together elements of Swedish, Shiatsu, and lymphatic drainage, combined with the therapeutic qualities of aromatic essential oils. This treatment is designed to strengthen the body’s vital energy. In Vancouver, CHI, The Spa features an exclusive selection of treatments inspired by the natural beauty of the West Coast of British Columbia. These Sense of Place treatments utilize organic products, made using hand-harvested wild seaweeds from the pristine coastlines of Vancouver Island. Seaweed, rich in a spectrum of vitamins and minerals, is known to help firm and renew tissue, slowing the skin’s aging process. What other luxurious and exclusive experiences might guests be able to organize while staying at the Shangri-La Hotel, Vancouver, to enjoy the city more broadly? Located in the most sophisticated city in the Pacific Northwest, the hotel is a tranquil haven that rests on the edge of nature. A vast range of outdoor activities can be arranged through the hotel’s well-connected concierge team of specialists. Whether guests have experience with outdoor adventure activities like canoeing, or are just beginning to learn, the beauty and wilderness of British Columbia is waiting to be discovered with the hotel’s exclusive West Coast Wilderness Adventure package. For this exclusive adventure, guests will depart from the hotel in the morning and be whisked away by floatplane from Vancouver’s harbour to Whistler. After landing, guests will have free time to explore Whistler Village’s cobblestone walkways, which are teeming with shops and restaurants. Guests are encouraged to enjoy an early lunch at their leisure before the canoe tour begins. The River of Golden Dreams is a paddler’s paradise that will take guests on an enchanting journey from lake to lake along the West Coast. This adventure begins on the historic Alta Lake, one of Whistler’s most popular summer destinations. While flowing with the gentle current, navigate the winding river and steer through narrow passages. Marvel at the old forests, wildflower-lined banks and snow-capped mountain vistas. As the river opens up to Green Lake, a shuttle will be waiting to transport guests back to Whistler Village, so they can depart on a return flight back to Shangri-La Hotel, Vancouver. “The Presidential Suite is located on the very top floor of the hotel with a 360 degree view and its own elevator, meaning discretion and tranquility is guaranteed." "The d’Angleterre Suites are all inspired by famous Danes, for example we have a Karen Blixen suite with an African theme and a Hans Christian Andersen suite with his own paper clippings on the walls." "The Royal Suite is our largest suite—2,000 square feet—and was home to Her Majesty Queen Elizabeth II during her Royal Jubilee visit."